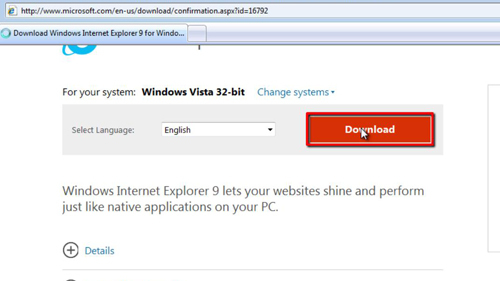 In this tutorial you will learn how to download Internet Explorer for Vista. 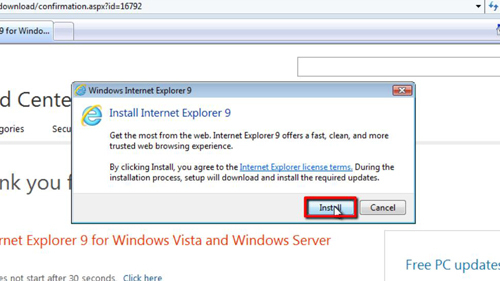 The latest version of IE which is available for Vista is Internet Explorer 9.
click the “Download” button to the right. After you click the “Download” button, you will be taken to a page and you will be asked whether you want to proceed with the download, click “Run”. A dialog box will appear showing you the download progress. 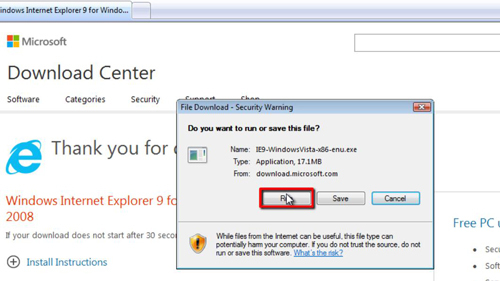 When the download has finished a dialog box will appear, click “Continue”, click “Install” in the second dialog box that appears. The installation will begin, this process can take some time so just wait for it to complete. Once it has finished installing you will be promoted to restart your machine – do this. Once the machine has booted up again, the latest version of Internet Explorer will have been installed and that is how to download Internet Explorer for Vista.